In this Article, we will analyze China’s Cosmetics Market, Trends, and Marketing Strategies that Brands have to use to Sell in China. Chinese Female consumers spend more and more on cosmetics and Personal Care products and are increasing their consumption. China’s beauty market is on the way to become the world’s largest in terms of sales and market shares by the end of 2018. How to explain this Phenomena? 1.The rise of the Chinese middle class and its appetite for all consumer goods- especially Beauty brands. 2. Total Cosmetics &Beauty Products revenues are expected to reach US$39,168 Million in 2018. 3. 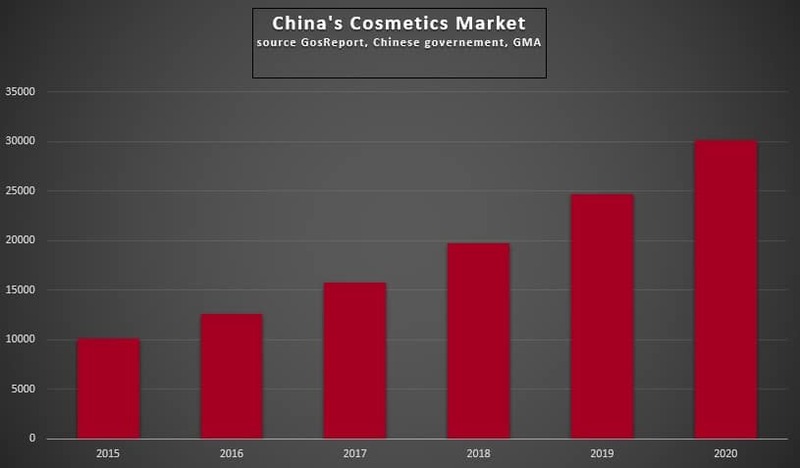 China Market is one of the fastest growing countries among major beauty market for growth. A survey (of OG&C Consultant) explained that 58% of Chinese People claimed that they want a more expensive product, while 36% of Chinese Consumer upgraded to more premium brands. For consumers in China, social status is very important. For the average Chinese consumer, using luxury Brands or expensive products is a good way to show their Statut. Chinese even in Beauty are “new Consumer” tend to prefer higher priced items, because Higher is better. For many Chinese girls, foreign brands are huge “more attractive”. There is a kind of “premium selection ” that comes with French brands that makes them a favorite among shoppers. International branding is a key to catch this segment of the market. French & European Brands are seen as Innovative and High End. Japanese Brands have also a good image in this Premium market. Korean Brand, Asian Brand and US brands have more a mass Market positioning. At the same time, Chinese Female COnsumers are “very brand-conscious” – buying from “big name brands” as they believe higher prices equates to higher quality, but this will only get brands so far. Chinese consumers are now very focused on getting the best Product for Value and always comparing brands, so consumers feedback have a huge impact on their decision. In Asia and especially in China, the population is concerned about Scandals. And due to Food scandals and Pollution Problems, many People are looking for more organic or natural products in the Beauty industry. The knowledge about Organic is limited at this moment, and the Chinese government has put a law to limited communication between natural and Organic in the Cosmetics industry. 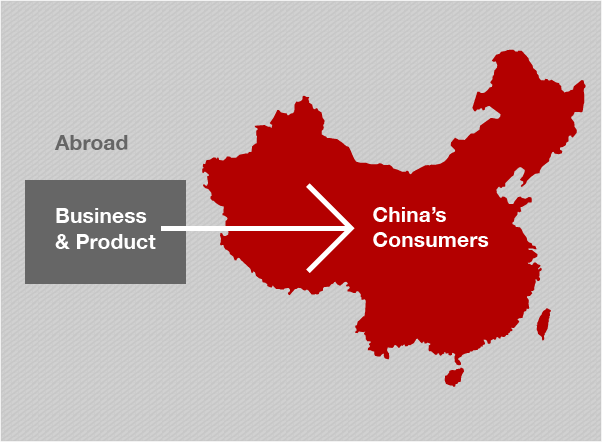 Recently Chinese consumers are sensitive to products provide internal benefits. The increasing popularity of multi-functional products like BB Creams and CC Creams. We can see in China, an increase in Personal care of Young wealthy Men, especially in big cities. They went to the Gym, take care of their appearance and wear luxury cloths. In the time, they start to use skincare products and Perfume. 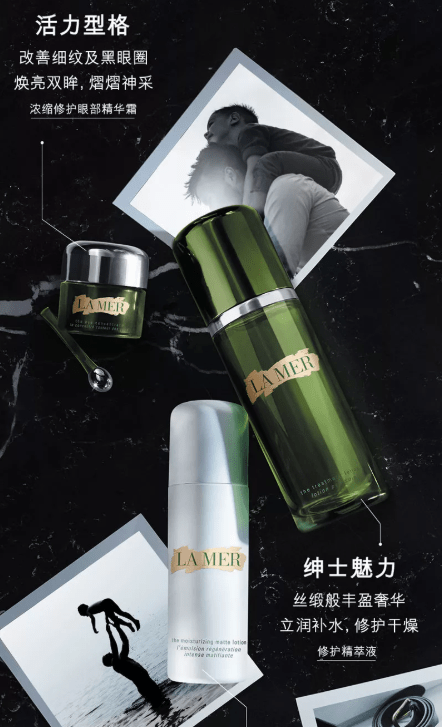 The Man cosmetic segment is estimated to reach 1.9 billion RMB by 2019. Influenced by Korean pop Culture, Chinese Male consumers start to concern for their skin. Most of Male Consumers are still quite “conservative” and it is a Niche population that start to use cosmetics. Chinese women are also adding more steps to their “daily beauty routine“. To the basic function of a facial cleanser and a moisturising cream, they have added the application of a toner, an eye cream and a serum. 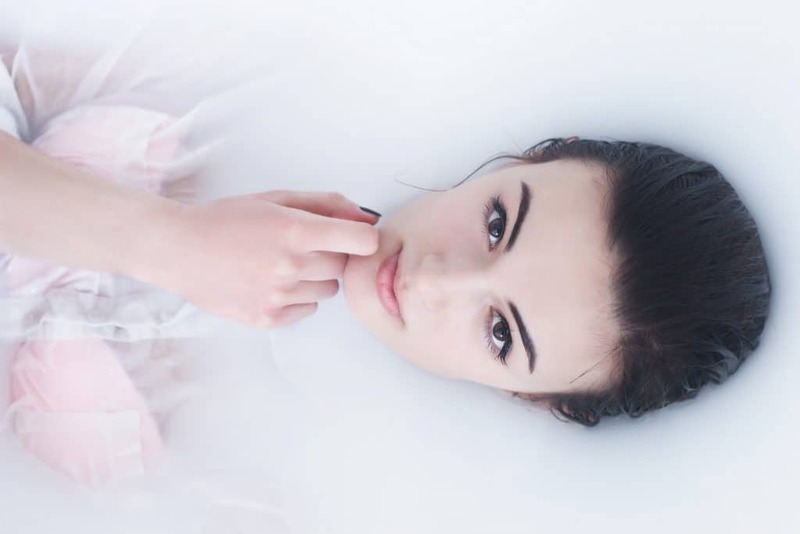 Around 70-80% of the beauty consumers also use makeup remover, mask and sun protection cream on a daily basis, which leads to an average of 6-7 steps in their daily skincare routines. Some part of the Population (beauty “mature” women above 35 years old) were following “up” to 9 steps in their daily skincare routine. 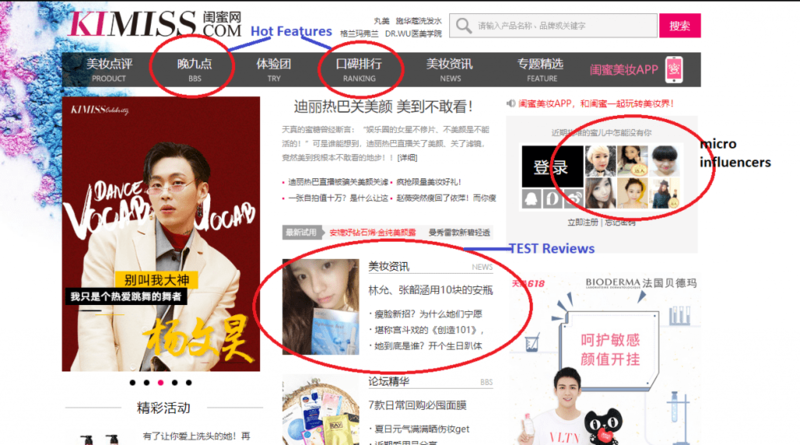 More than 90% of Chinese girls are influenced by Online Trends. Magazine of Beauty: inform and Give Brands News. A quarter of Generation Z (born after 1995) starting to use skincare products as early as 18 years old. 70-75% for those born in the 80s. 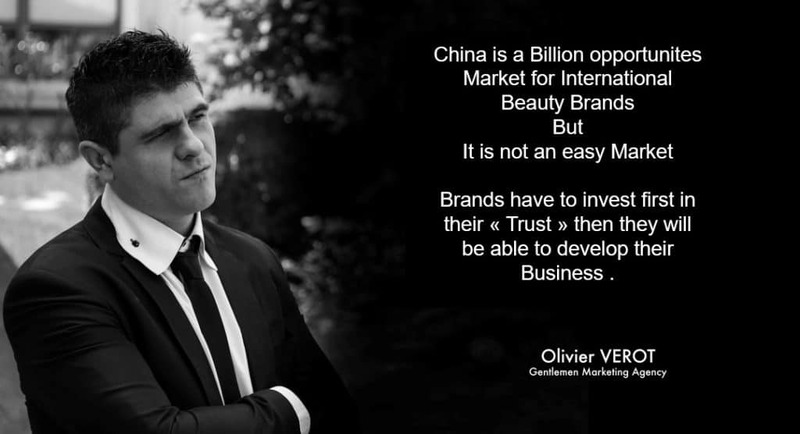 You have a Cosmetics Brand, Beauty brand and you want to enter the Chinese Market. You have heard a lot of Bad stories, and you already know that The Chinese Market is full of opportunities and danger. It is the more promising Market. Buying a Cosmetics Product is a deep Research and hours of analyzing the comments of other users. Chinese consumers spend a lot of Time to search, compare different type of cosmetics Products before taking any decision. More than 90% of Girls indicated that they conduct extensive research before they buy skincare products and online plays a critical role in this research. 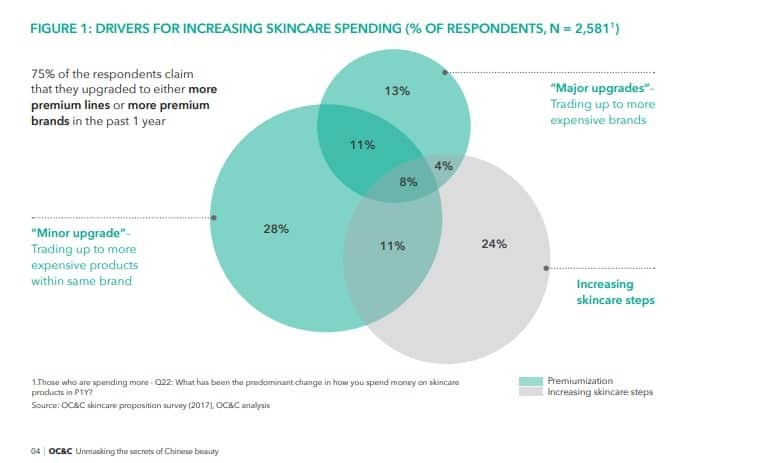 There are huge amounts of information on skincare brands across multiple channels in China. 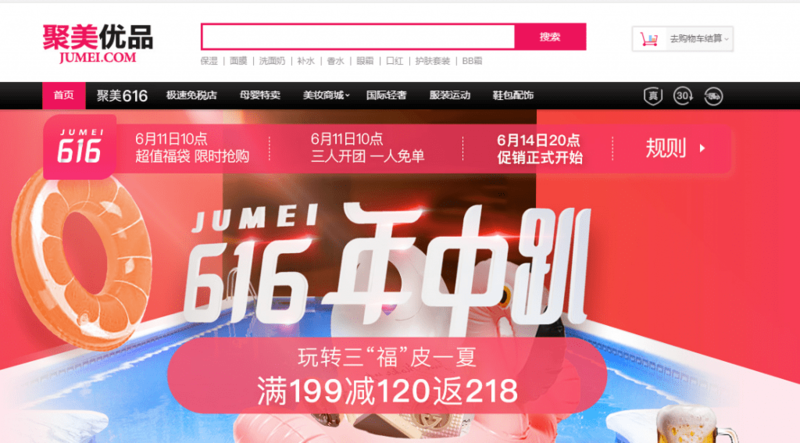 E-commerce websites such as T-Mall and JD are the main channels for browsing across brands and offerings, while social media also plays a critical role in building brand awareness and helping consumers develop product and brand knowledge. These Platforms provides usually a lot of useful information for Buyers; they will find long and detailed products pages. What they will really care about are the comments of users. They also like to check 3rd party on Taobao/tmall where they know comments are more real than on Brand official Tmall Store. To have a presence on these platforms are necessary for large Brands and too expensive for small Medium Brand. Female consumers use to follow several beauty bloggers because they like tutorials, like the Brand review and think it is a Good source of information. Brands do not have to post often but have to Use Sponsored Ads by Weibo. 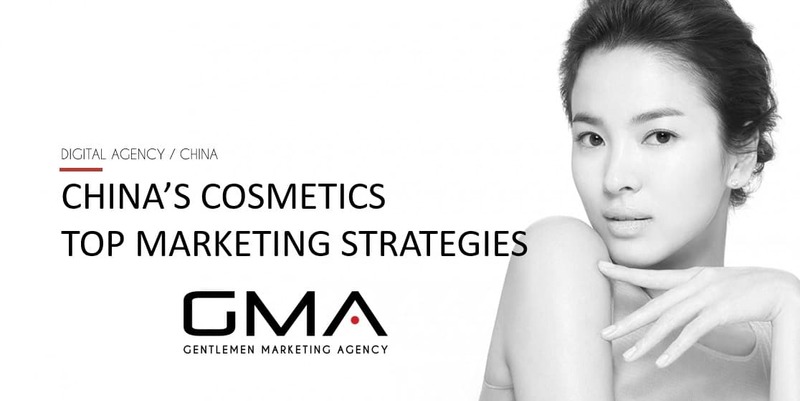 An effective way to get Exposure, and you can target the right users Ex: Female, 25-30, interest Cosmetics. Create Games, Contest is a good way to engage Weibo Users, and give interaction to the account. After Communicate with Small influencers, micro-influencers is a lot of work but can pay. Distribute free Sample, and Engage these influencers can be effective. Try to get a partnership and get the real engagement of these influencers can make the difference. Incentive the KOL is nowadays not cost effective solution… Why? Because their price is really high, and they are like micro-Companies focus on receive cash. 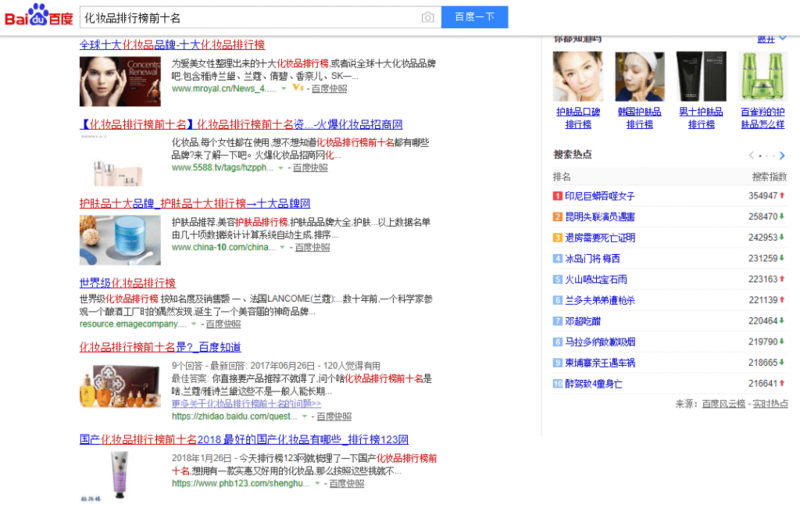 The Chinese Search Engine is efficient when the matter to Cosmetics and Personal Care. Find a Solution to their Problem. It is a good way for them to find a product that can solve skin problem, find the tutorial for makeup or get feedback from users. They will actively search for Question&Answer or Conversation on Forums. 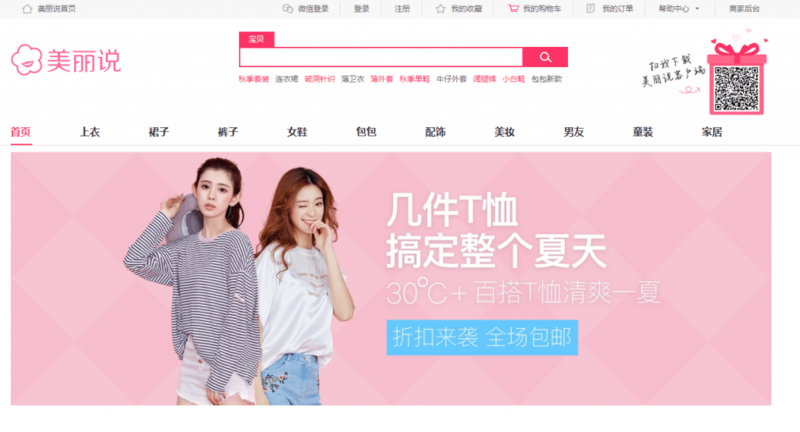 They will use Baidu to get feedback from users about Brands, especially before decided to buy a product. They will compare different Brands and will be influenced by comment or review of Users for each brand. They will consult the Brand Website, to have an overview of the Brand, but will not care much about corporate information. Working on your own Website and traffic make no Sens in China, because the user does not trust in corporate communication, and do not buy on the Brand Website. Have a Good looking Website is necessary, but most of the energy should be the focus on Baidu ecosystem. Forums: You have a lot of conversation on Forums about Beauty, and they can rank well if you optimize the Search Engine Visibility…. Media: Get your Brand information published on Media is a good way to get the trust of potential clients, optimize this publication on Baidu, to let them reach the first page on strategic keywords is a good move to influence Chinese Consumers. The SEO effort is to focus on the third-party website, to maximize the Word of Mouth. Remarketing or Retargeting visitors to your website is a good strategy to get awareness. It is a Cost-Effective budget to increase the number of apparitions of the brand in front of users. Smart business redirect clicks on Tmall or E-commerce platforms. After 7-10 visuals contact with the brands, Chinese Consumers are more ready to buy their products and can be ok to click on ads with discount and make the purchase on Tmall, the platform they trust. 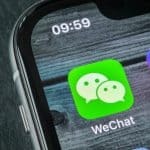 Consumers will be influenced by their Friends, and by the conversation that they can have on WeChat, or discussion that they can follow on groups. The moment system is the best way for them to get personal feedback about Brands, but usually, they do not publish Brand Reviews. Groups are more source of discussion for Brands review, Solutions to solve skin problem or recommendation of Top Products. 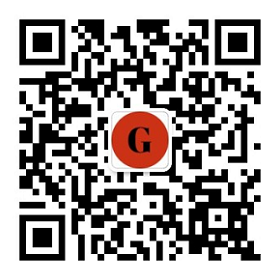 Some Wechat Accounts are also followed by a large number of People. Brands should not care so much on their personal Data, followers, and should be more focus on External discussion, Brand mention, or a number of shares. 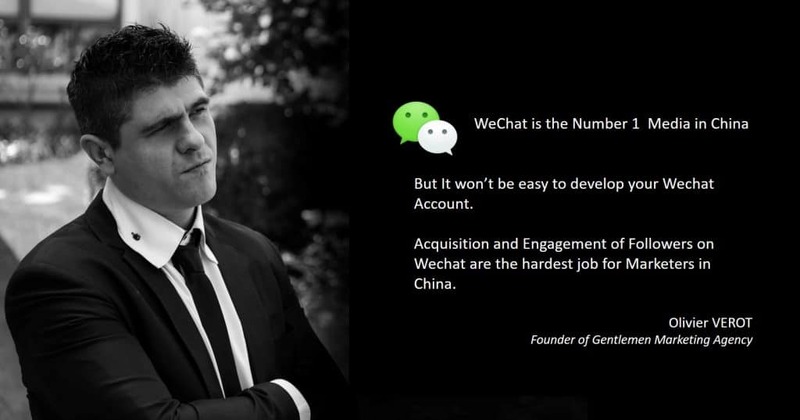 Get Mentioned by WeChat big accounts is, of course, a great thing, but usually, the cost of exposure is really high and we mainly advise to use the budget in a better way. 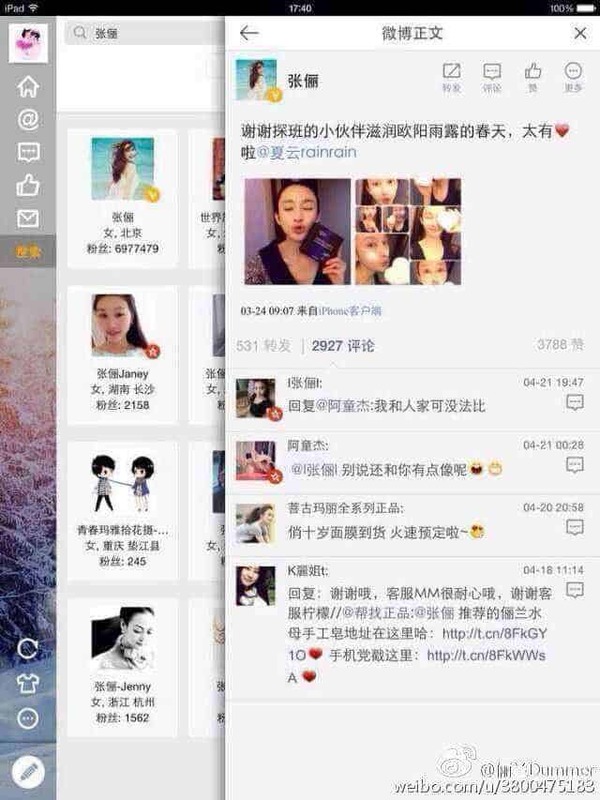 Community management is the key on Wechat, get contact with users, engage conversation, create Groups per interest…. It is time consuming and need to redirect potential buyers to special space. Advertising on WeChat… at this moment, we did not see a good way to Advertise on Moment. It cost a lot , targeting is not well at this moment and difficult to have action on Wechat. Purchase sharing App like little Red Book is getting extremely Popular in China, among Chinese girls . This Platform is perfect for Cosmetics and beauty products, and can reach trendsetters, Micro influencers and Most girls with international purchasing behavior… So it is perfect for International Brands, to let work the word of Mouth. Little Red book allows Brand now to have a Brand Space and Ecommerce Store. Competition is not that high and all little Red book is based on real girls community already used to share Cosmetics reviews. The system of the tag is well done, and allow users to get all reviews of products. Brands have to maximize their Communication via influencers to optimize visibility, credibility and get engagement => drive sales. These social Media were inspirated by pinterest, then move to Ecommerce. Today they are commercial and lost their interest for users. Most of the Female users stop using these platforms for Cosmetics. 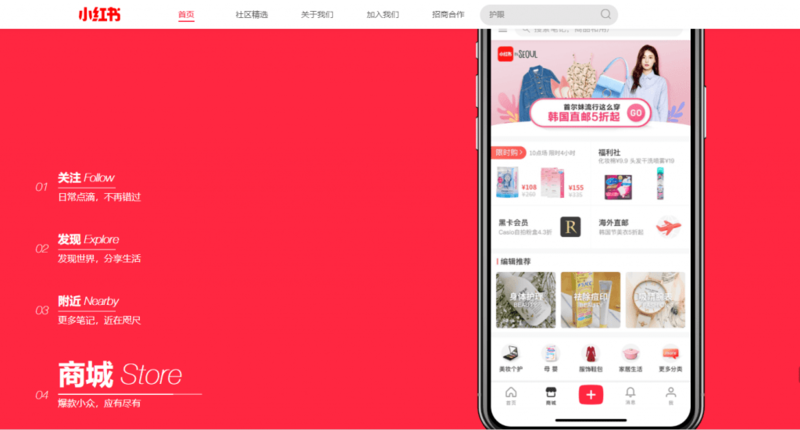 The Chinese Pinterest (share photo plateform for Trendsetters) changes to the e-Commerce and become “one more” taobao/tmall website. 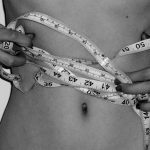 It was a Popular plateform to reach trendsetters, microinfluencers (http://www.kimiss.com/) . The concept was unique : you send your products to Kimiss community and they writte comments , critics about the Brand / Products. They change to a commercial Business model, where brands have to pay to get these testimonials, and the plateforms get rapidly full of positive Comments and leck of “real ” information. The concept of Jumei was Good. 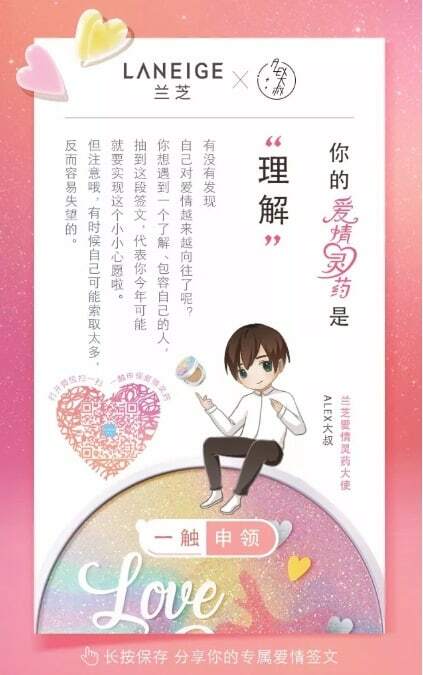 4years agoo, the idea of a website dedicated to Cosmetics & beauty make Full sens in China , and reach a lot of Consumers. This plateform was “hot” , really hot and you find a lot of information about Brands, Tips and Design was really good and level the website left behind their competitors. And they move to an “Ecommerce” Business and become a Copycat of Taobao /Tmall. They sell Famous Beauty Brands with Discount, luxury Bags , or Baby Milk , End of the Community, End of the Story. Chinese Consumers buy more Brands than a product, specially in cosmetics. Every companies have to invest in their Branding to succeed in China. 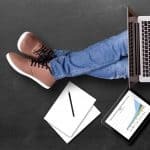 Reputation : work on your Reputation is vital for Purchase and get refered by buyers. Distribution is usually the headach of Cosmetics Companies. Most of the Time, it is complicated to deal with an exclusive distributor in China. Once they get the certification and the authorization of represent the Brand in China, they will start to change their way of dealing with their Supplier. Do not forget that you will be their supplier, and no more a partner. it is difficult to be a partner with a Chinese company, because they will always put their interest before yours. Exclusive distributors usually do not match, because of a lack of Branding. Distributors do not have the knowledge of Build a Brand, or develop International Brand. They are usually good businessmen, know how to sell products fast, and identify resellers. Some of them want to do the Marketing and will use their own resource to try to communicate for the brand. The Brand is controlling their Distribution, and deal directly with distributors, agents, and resellers. It allow a presence in China, own registration and strong branding. Have ressources in China allow the Company to deal with a different partner, and animate Distribution Networks , training and supporting Sales. Registration : the brand need to have a legal presence and have the certification of the products . That the way that use most of the Chinese local Companies to develop their Business in China. How to develop multi distributors ? Tradefair : Shanghai Beauty Expo, Guangzhou Cosmetics Expo or Cosmoprof are tradefair where you can be found by distributors. It require to have : Sales Support team, legal presence and Brand attraction. Control and develop your own distribution is a must in China. It supposes to have a lot of investment, because each stores in China costs, and have to get ROI after 1-2 years. Animation of this physical store and training of the stuff are vital for the success of the Distribution in China. Lot of Consumers get information on Store and buy Online, that is good for the Company, but give to offline distribution leck of revenues. Get Store in Shopping mall is also a great way to increase awareness, because many girls hobbies in China is “shopping” , going to these shopping mall and check Shops. In 2018, most ROI are corners in Popular Shopping malls or supermarket. Ex : 9m2 or 18m2 allow 1 or 2 sales People. Usually, the E-Commerce part is the most profitable and easiest way of selling beauty product in China. Reflex : It is now a Reflex to search products and buy online. . Convenient : easy to buy , receive the product at home, spend less time on Shops. E-Commerce is in 2018 necessary to almost every brands in Cosmetics – Personal Care. You do not have a Chinese Business license and do not have the certification delivered by Chinese Authorities. Open Stores on giant e-Commerce platforms are not Free. If you have a Company, certificate for your products you can use Chinese E-Commerce. Usually, the cost of delivery is lower and time to get the product is fast. 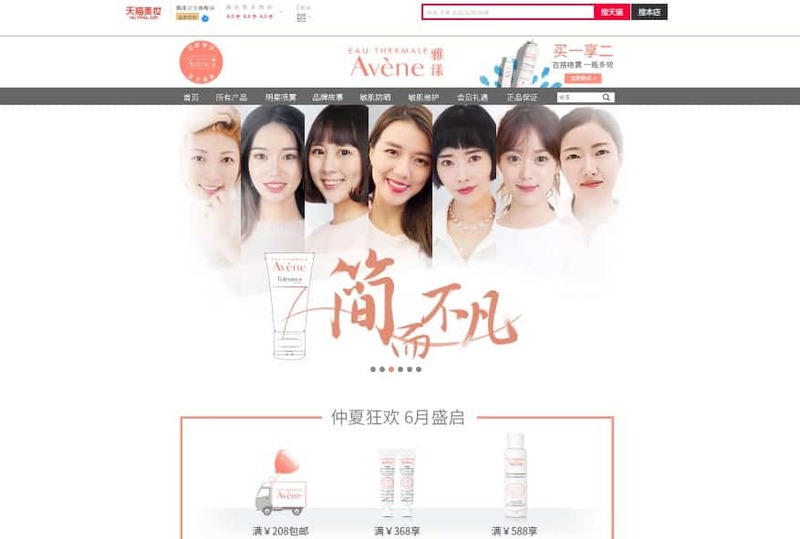 Performance for beauty products on these mainland eCommerce plateforms are 20 times higher. Every Store are supported by Investment on Branding. Do not hesitate to contact us and discuss with our Expert or Consultant. We can send you latest Tips & Trands about the Market, our Case studies and can give you a Strategy and a Quote. I am currently a student in International Trade, for an entrepreneur project we are looking to export French cosmetic products to China. We already have some companies that agree that we sell their products to Chinese shops. Because we are starting in this field we would like to know if you have some tips to prospect Chinese beauty shops in big cities ? I know your time is precious, thank you for your consideration. it’s an honor to our company contacting your organisation. Our company is specialized in the production of moroccan cosmetics (Argan oil derivatives) and the product generally of beauty and health. Our Products certificate, 100% bio, the price-quality ratio has been respected in our products, I send you this message to find a plot for cooperation in China, to distribute, market and Sell my Brand. Contact us please via Email. 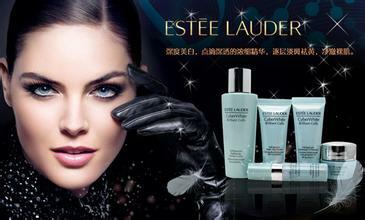 We can help you, we are specialized in Market, distribute and promote Cosmetics Brands in China. I am a Business Marketing student at Cal State Fullerton in California. I have a group project and our task in to export a product into another country. We chose china and cosmetics (specifically lipsticks) do you have any advice or export logistics, marketing advice, or expert opinions to help us with our project?? Anything advice or information is greatly appreciated. I think you have almost what you need on these article… You almost know everything. Thank you for your work, Olivier. Very interesting and useful reading. Subscribed. I’m a distributor for Young living essential oils and our company just launched in China. looking for potential buyers & distributors to join my Brand . How export cosmetics products in China ? Do you have Agent or distribution company to recommand to us ? Difficult to find good Distributor in China. And basically they only want to work with Popular Brands, you need to work on your branding first as explained in this article. I heard that n China, cosmetics brands are selling products tested on animals? that s crazy and nobody protest? I think this law is on the way to finished. Cosmetics and personal care are good marketi in China, sedon market in the world . 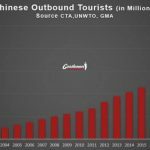 China is the fast growing industry within China. Spanning across a wide variety of industries including makeup.